Fujifilm recently announced the discontinuation of their Neopan Acros 100 black and white film. This is sad. While I haven't shot as much Acros as I have Kodak's black and white films, I've always been very pleased with the pictures I've made when I've used it. Acros is still available for a decent price from a number of online retailers. I will probably buy a brick or two and stash it in the freezer before the prices get insane. 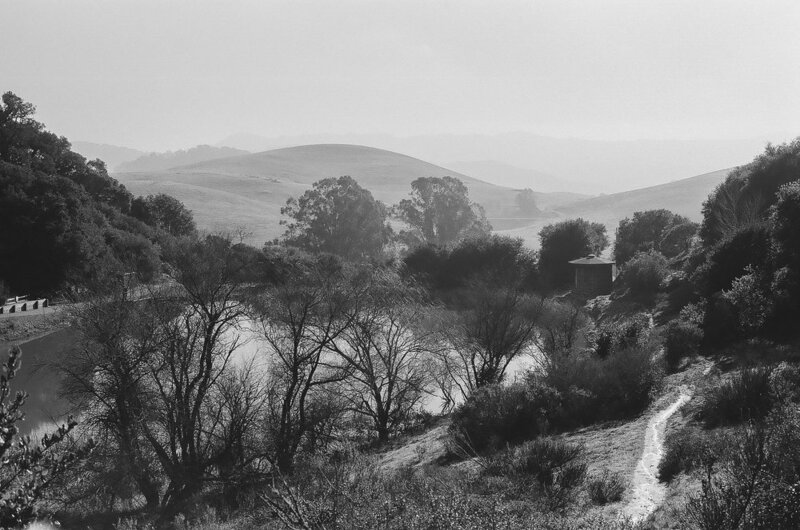 Here are a few shots on Acros using my Olympus OM-2n camera with 50mm Zuiko f/1.4 lens. These pictures were taken on a walk near Jack London State Park in Sonoma County, CA.